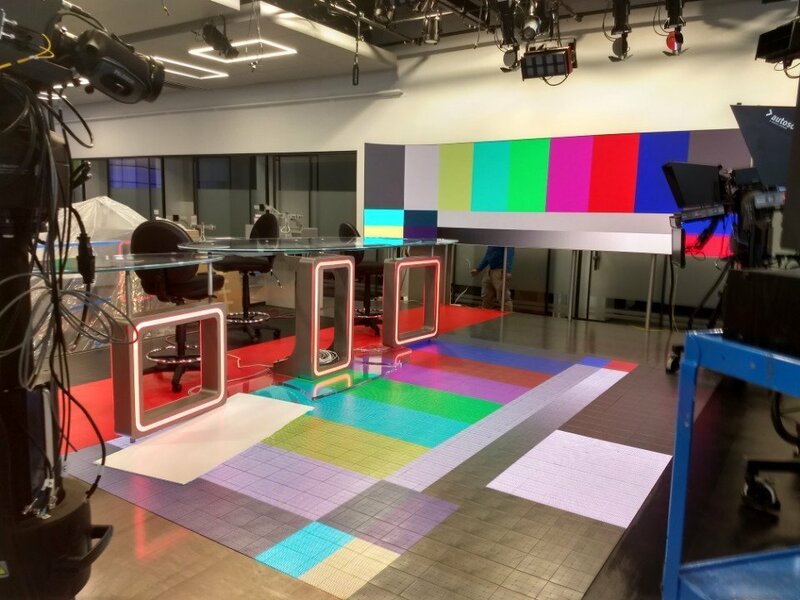 Here is the new CNN Newsroom studio at Hudson Yards. Its still int he early stages but it looks to have a video wall in the backwall (woulda looked better if it covered the entire back wall. Cant tell if thats windows back there.) There is also a video wall on the side and even a video floor. The desk the chose clearly indicates they will continue using the talking head yak-fest they have developed into in the last few years. Im sure their will be more bells and whistles to be installed before it goes on air. 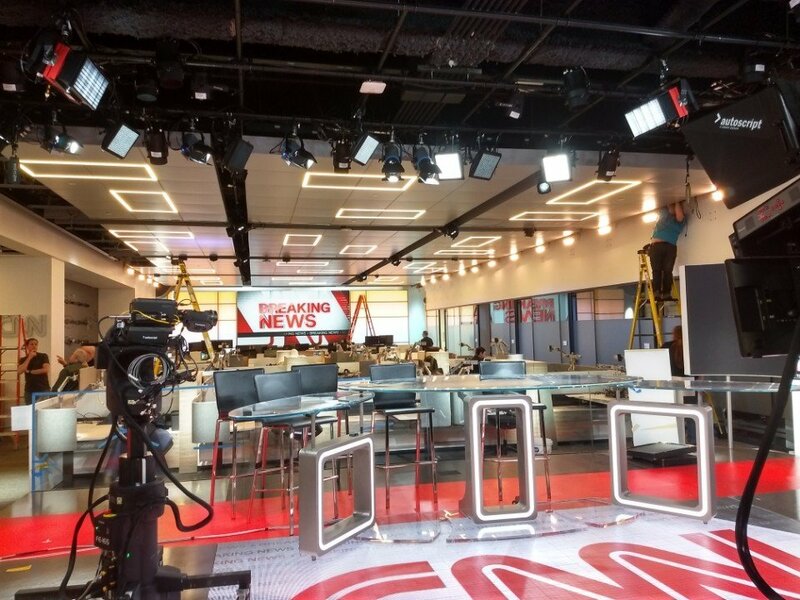 I was expecting something more expansive, but seeing as the main newsroom continues to be located at CNN Center in Atlanta. It doesnt seem more space was needed in NYC. CNN Business has already moved and apparently CNN Digital made the move in this weekend or is about the be the next group to move. Some were speculating that the news group was going to be a while before the they relocated. Apparently that is going to be fairly soon-ish. It might be a while before the other technical operations move. And even before they move in WarnerMedia is gonna sell the new HQ building in Hudson Yards and lease it back and make a cool 2 Billion in the process. That newsdesk does remind me of game show contestant podiums, somehow. Looks like a copy of the current messy little set. I was expecting something grand. The newsroom is very small. It really would have been a waste of money. As they really wouldnt have needed a bigger newsroom in NYC anyway. Though i do agree i was expecting something a bit more special. But we'll see how it turns out in air when they finish the full kit out. Im not holding my breath for anything special. Looks kinda 'basic" to me. 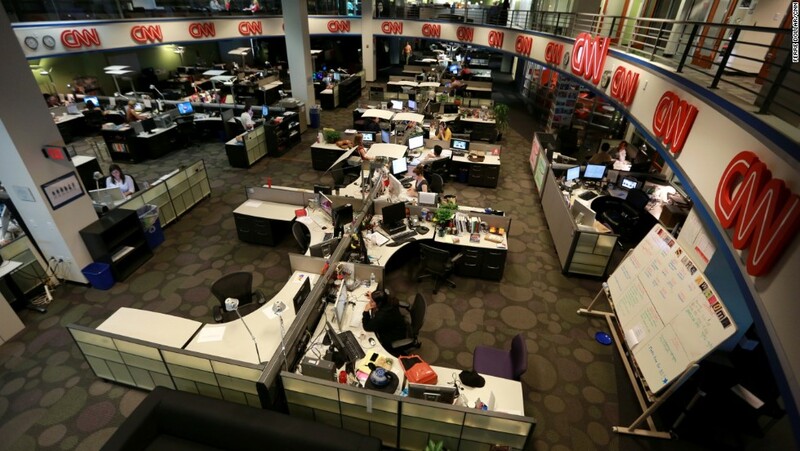 Keep in mind CNN retains CNN Center in Atlanta as their global newsroom. The New York studios is considered a quasi-bureau/broadcast site and corporate HQ. Most of the CNN Newsroom has already moved. 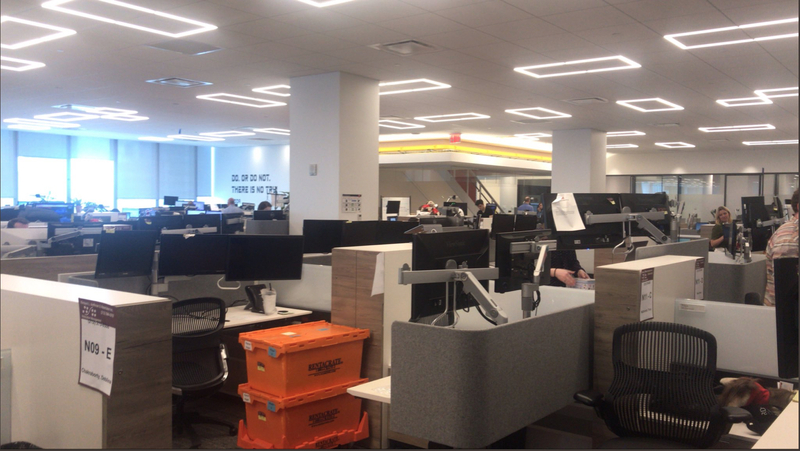 According to Newscaststudio and photos clearly show that most of the newsroom staff has already moved to Hudson Yards. Its intersting that they chose to not use the frosted panels that have built-in monitors and CNN logos etched in them. These panels are heavily used on the weekend when the newsroom is basically empty and you only get small views into the newsroom. Odd Choice. Notice the desks are basically cleared off and then eventually in the next image they have begun to remove the monitors and only the arms are left behind. There we have it! Dave Briggs just confirmed on Early Start that they'll be broadcasting from Hudson Yards from Monday 15th and suggested there will be leaks on Instagram over the weekend. I'm entirely sure the newsroom is much bigger than what you see in one of those images. This image here shows much more depth taken from a different angle. Hmmmm, not sure. Big guessing game. Same ceiling, perhaps off the left and those are mod certainly screens from the Columbus Circle floor. Orange boxes too. Definitely a CNN space. 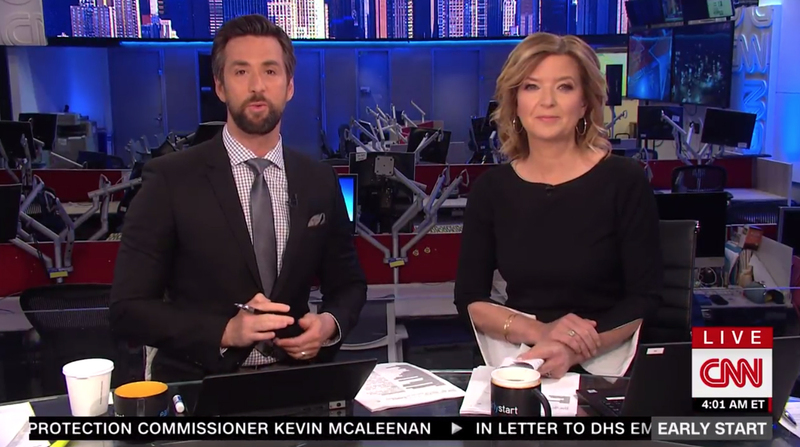 I hope they get something decent for CNNI weekend editions of CNN Newsroom instead of a one shot, plasma screen background set up. Here's hoping - for what's meant to be a major international news channel it's pretty pathetic to have hour upon hour at weekends from what is a glorified DTL position. Makes Sky News's secondary studio seem almost spectacular by comparison. At least it's a nice shot of Columbus Circle behind the presenter, which on its own makes it better than that Sky studio. 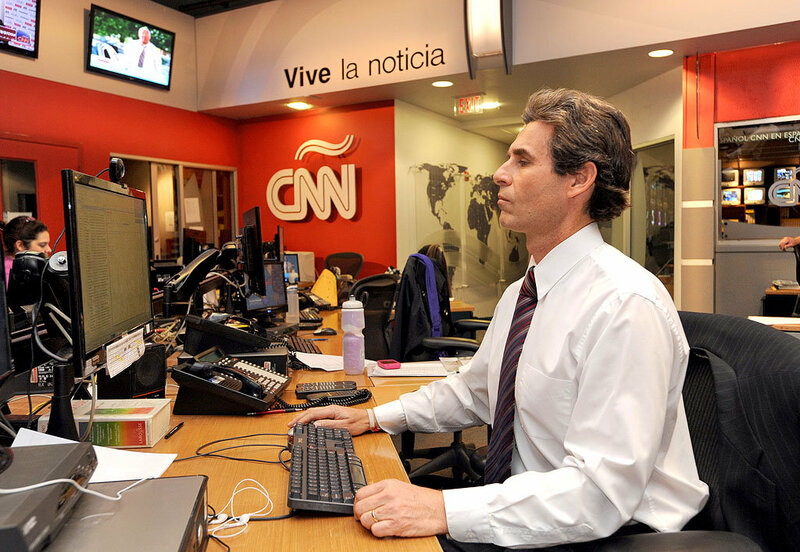 Anyway, I dream of a newsroom set on CNNI again. That new NY set is actually fine. It's like the early 2000s Sky News with the newswall at the back of the newsroom which, I always thought , is the best possible set up for a newsroom studio.